Monitoring has a central role in the context of research on advanced network services. In addition to the participation in the research on this topic during the various stages of GÉANT, GARR has carries out constant and intensive in-house research and development activities. This work results in numerous services that enable a fine-grained monitoring of the GARR network, both in support of real-time network management, and to study the evolution of traffic trends. 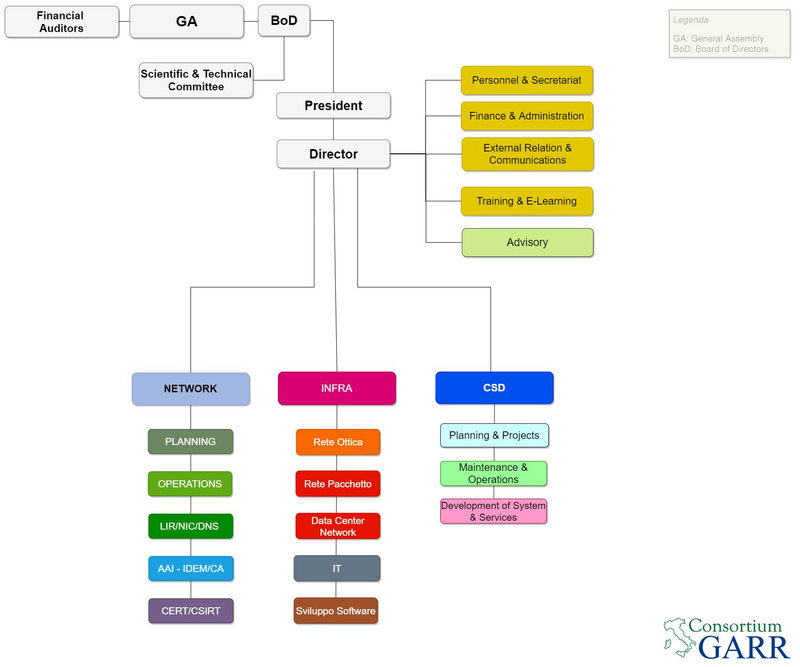 This analysis is critical to GARR activity, as it drives the development of predictive models on the evolution of network needs which, along with other elements, in turn feed the research into new technologies, network architectures and services, and are the precondition for the transition to new generations of the network. guarantee interoperability of IPv6 with major legacy applications. In relation to this latter aspect, GARR conducted a thorough study of interoperability of IPv6 with the middleware di Grid gLite, later extended to other families of middleware at European level (ARC, Unicore). To this end an international Grid testbed over IPv6 was set up, and specific strategies for integrating IPv4 and IPv6 resources were designed, promoting wherever possible a dual-stack approach for the services and products used. These activities were carried out within the context of the EGEE, EGI and EU-ChinaGRID international projects, in collaboration with the HEPiX working group (a group born to promote Unix within the high energy physics community). Other R&D activities include IP/MPLS experimentation beginning in the early 2000s, particularly within the MUPBED project which contributed to the transfer of this cutting-edge technology to telecommunication operators, Quality of Service (particularly in the Sequin project and the GN2 phase of GÉANT), and eduroam, the service that allows users visiting other organisations to easily and securely access the wireless network using the same credentials provided by their home organisation. Eduroam was developed in the context of the international task force for Mobility and Network Middleware (TF-MNM) and of the GÉANT project in collaboration with standardisation groups and industrial partners. Born as an experimental activity just over 10 years ago, today eduroam is a service available in thousands of institutions across over 70 countries. Finally, among other R&D activities we note the participation and contribution to the development of new standards and definitions within IETF and other international bodies such as ITU. GARR has been author and co-author of many standards (RFCs and "T" specifications), taking the lead in various working groups and committees. Recently, a GARR representative has served as Coordinator for the IETF Application Area Directorate, overseeing the monitoring activities for IETF standard specifications in the Application Services area, which is the prelude to their submission for approval.